All racing gasoline or diesel engines, naturally aspirated or turbocharged fitted with injection (direct / indirect) or carburetted. 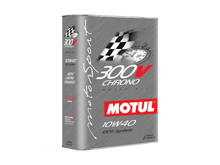 For race prepared engines operating over a wide range of rpm and temperatures. Not recommended for street driven vehicles. The SAE 10W-40 viscosity allows excellent oil flow into the engine at start-up and fast oil pressure establishment while guaranteeing at hot temperature high oil pressure and faster engine revving. 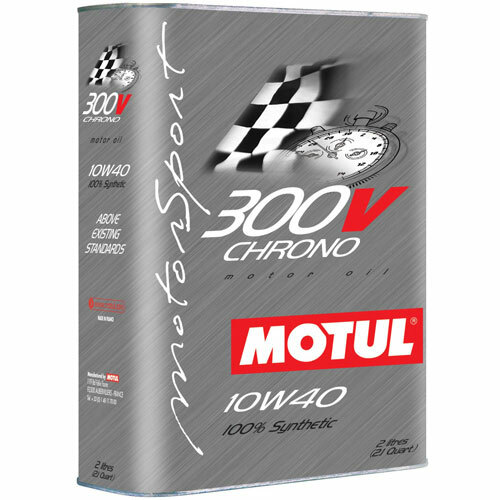 ESTER Core® TECHNOLOGY For decades MOTUL has developed high performance synthetic Ester based lubricants. 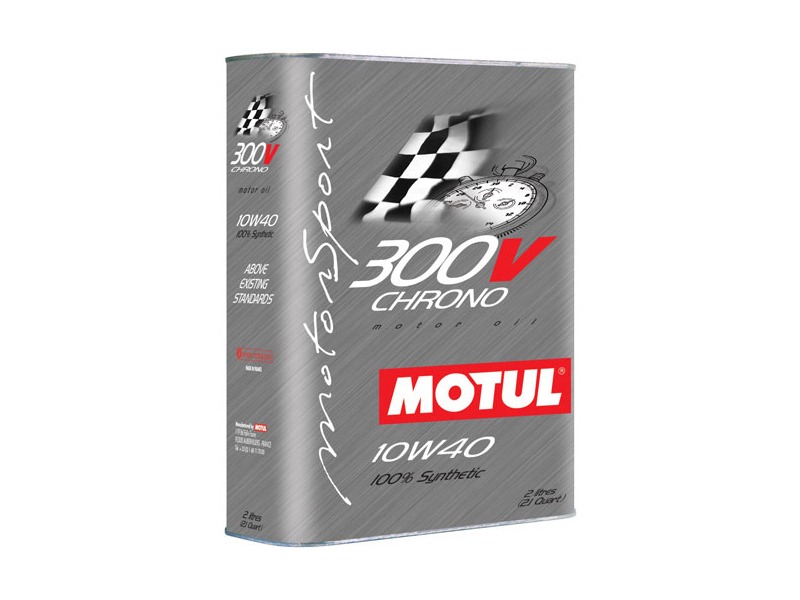 By selecting esters over other high performance synthetic base stocks and combining them with an innovative additive package, MOTUL has created a perfect synergy. This most advanced ESTER Core® Technology allows maximum power output of the engine without compromising reliability and wear. The SAE 10W-40 viscosity enables to compensate medium engine oil dilution by unburned fuel and maintains a stable oil pressure. Maximum oil film resistance at very high temperature: Engine wear is reduced. Friction Modifier: Maximum power output, decrease operating temperature. Low volatility: Oil consumption is reduced. High shear stability: Stable oil pressure whatever using conditions. For optimal engine performances avoid mixing with other synthetic or mineral lubricants. Oil Change: According to your own use. Due to lack of detergents, this racing oil needs to be changed more frequently than regular motor oil.